Who To Blame For Missing Man Booker Longlist Candidates? How About Agents? Ed Handyside, publishing director for Myrmidon Books in England responded to my outrage. Myrmidon is the publisher of the longlist book, Tan Twan Eng‘s Garden of Evening Mists. Here he explains the tangled relationships that keep UK books from the US and vice versa. Garden of Evening Mists is on the Man Booker longlist, as was Eng’s previous novel, The Gift of Rain, in 2007. Once upon a time… Not long after books were painstakingly reproduced with quills by monks in draughty scriptoria, a publisher was just a printer. He’d grab whatever material he could get his hands on, ink up, do the binding and then load up his cart or his mule train and sell his books as far as they would take him. Sometimes he’d pay the author for the poems, stories, or pamphlets he printed, often he probably didn’t. Eventually most countries passed laws about this kind of thing to make sure publishers honoured the rights of authors. But there was rarely an international dimension to any of this: Other countries were, well… someplace else and almost invariably they spoke a different language anyway. But at the end of the 18th century and beginning of the 19th something unique happened: All of a sudden one of those languages, one that would gradually come to dominate the world, was shared by two separate but increasingly powerful sovereign countries. At first it didn’t affect much because commerce was somewhat strangled by the fact that they had little reason to trust each other — they were at war couple of times — and anyway there was a bloody great pond between ’em. 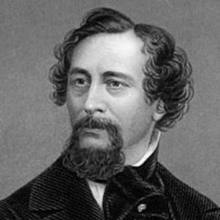 Charles Dickens wasn’t happy that American publishers ripped off his books and paid him nothing. As things settled though, something had to give on the publishing front. I don’t know the precise history; so it could have been Mark Twain or Dickens or Harriet Beecher Stowe or R.L Stephenson or Fennimore Cooper or somebody who turned to their publisher and said: “Y’know we have to do something about those bastards across the pond. They’re making a fortune off the back of our labours — some sailor must have left a copy in a bar in Baltimore / Liverpool or somewhere and we’re not seeing a penny of what is rightfully ours.” So eventually the two main English language publishing nations got together to find a solution. The solution they came up with was to carve up the world between them — actually into three pieces. The third part is everywhere else (eg. most European countries, China, Japan, South America etc. —mostly places where English isn’t the dominant language). This has been more or less in place for about 150 years. More recently there has been a tendency for Canada and even Jamaica and the West Indies to land in the US bag rather than the UK bag, and for all European Union countries to go into the UK bag rather than the third category. There were numerous passionate battles about all of this between UK and US publishers as recently as three years ago — as if they were squaring up to fight the War of 1812 all over again and for the same causes: Canada and Trade with Europe. 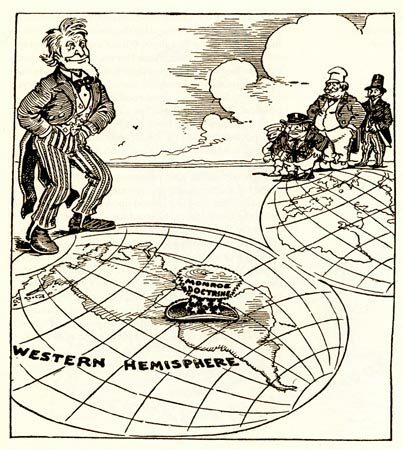 Now you may think it crazy that in the modern age, English language publishing is conducted pretty much along the divide of the Monroe Doctrine on the one hand and the bits that used to be coloured red on the world maps in every British classroom on the other, and you’d be right. But, just in case this all sounds confusing, here’s how it works: say a British publisher, John Bull Ltd. is the originating publisher of the first Harry Potter novel. Let’s say it buys world publishing rights from the author. (Usually in exchange for an advance and the prospect of royalties.) This means John Bull Ltd. has the sole and exclusive right to publish and sell Harry Potter anywhere in the world, including the US. But how will it choose to do that? Well it could open up a New York Office maybe, but does it really want to for the sake of one book? It could distribute the books throughout the US through a US distributor (shipping them over the pond is more feasible than it was when ships were much smaller and made of wood and books were much heavier and made of stitched leather) and that’s what we do at Myrmidon with most of our titles (but not Garden of Evening Mists). The only drawback is that shipping books still costs something — and there are customs duties etc. to think about. Also a British publisher will never be so smart or effective at selling books in the US as an American one and vice versa. So John Bull Ltd. takes the third option: they sell part of their publishing rights to Uncle Sam’s Press Inc. in consideration for an advance and royalties — just like an author does — and Uncle Sam Press Inc. insists that, according to custom and practice, it not only gets exclusivity in the US, Canada etc., but gives up its exclusive claim on the third group of countries so that both businesses are free to compete with each other in English editions sold in Japan, Israel, China, Russia. Of course the same deal works in reverse when Uncle Sam wants to sell its original titles to John Bull or any other British publisher. Now this all worked well enough for years until very recently. Now we have online sales and e-books, which has complicated matters. But that’s why American readers can’t always buy what they want on Amazon.com or get easy access to Amazon.co.uk. Because if Uncle Sam Press has just paid money to John Bull Ltd. for US exclusivity, the last thing it wants is to find that US readers are still able to order the John Bull product online or order it as an e-book. They’ll feel cheated, and rightly so. So more and more the current set up isn’t working: International publishing has failed to keep pace with reality. In fact publishers are increasingly inclined to hold on to their rights and, instead of selling them, keeping them and distributing them — perhaps printing locally in each market — as well as ensuring that there is just one edition of an e-book, but available anywhere in the world. So why didn’t we do this? Why did Myrmidon sell US and Canadian rights to Weinstein Books (who are actually quite a cool bunch) who, of course, will have their own timetable for production and release of Garden of Evening Mists and were probably as surprised as everyone else by the Man Booker longlisting? We didn’t sell our US/Canada rights to Weinstein (much as we like them) because they were never ours to sell. How come? Aren’t we the originating publisher who worked so hard turning the manuscript into a saleable book? Yes we are. Didn’t we take the initial risk on this title? Yes we did. Aren’t we the publisher mentioned in the published longlist for the Booker Prize? Yes: Only Brit publishers can enter books for the Booker Prize just as only American ones can enter them for a Pulitzer. So what’s going on here? Why did Myrmidon never have world rights? Well, now to the next part of the history. From the 1960s onwards, alongside the growth of the blockbuster paperback and the big movie deal emerges the literary agent, who spring up in large numbers in the US and UK in the next 50 years. It hasn’t been the same everywhere. In France there are hardly any literary agents; that’s because, there, authors and publishers alike regard agents as somewhat shady and disreputable. Not so the aspiring British or American writer who’s greatest dream is to get themselves an agent, somebody who will make their career take off, beat up the nasty, grasping publishers and generally take care of them. Two things contributed to the mushrooming number of agents: first, as smaller publishers were swallowed up by bigger publishers who were in turn swallowed by even bigger ones, lots of publishing editors were laid off. Starting an agency with the severance money seemed a good way to earn a living and stay in a business they loved. Second, publishers themselves realised that the growth in agencies could enable them to take a lazy approach to talent acquisition and maybe shed a few more staffers. Instead of sifting through the daily truckload of submissions from aspiring writers, they could rely on agents to do the sifting for them. But this laziness came at a price: It put a lot of power and influence in the hands of agents, who began to realise they had a great way of earning guaranteed, unadulterated cash money that need not be shared with originating publishers. No longer would they sell publishers a full rights package; they would deny them first translation rights and second, even deny the full package of English rights, the ones which exploited the time-honoured territorial rights conventions that Anglo-American publishers had devised for themselves a century before. Originating UK publishers would be restricted to UK and Commonwealth rights; US publishers would be restricted to US territories and Canada. Why sell the whole farm to a single publisher for a one-off advance when you can sell it off piecemeal to several publishers for multiple advances? So you sell a limited rights package to a UK or US publisher. You get them to do all the work, turning an unedited manuscript into a smart looking book — with good reviews, etc. — then you take the agent’s gratis copies the publisher is contracted to give you and you take it across the pond — in one direction or the other — and sell it again. (The original publishers, British or American, get nothing from this.) Then you go to Germany and Italy and show them the wonderful books the Brits and Yanks have made and the reviews they’ve collected and pick up two advances more. Then you go to the French, the Dutch, and the Japanese etc. You get the picture. And even if this title doesn’t do especially well, and all these publishers lose money, the agent has picked up half a dozen or more sizable non-returnable advances for relatively little risk or outlay. Agent’s exist ostensibly to look after their authors — and some probably do that job well, others less so —but they all live for advances, big ones and lots of them. More advances means chopping up the rights into smaller pieces, which in turn means more publishers for the same book. Now, more publishers are flexing their muscles and getting tougher with agents partly due to financial pressure and the fact that agents themselves have had to drop their expectations: There are now too many of them for the book trade to support. Partly too, publishers are now beginning to realize the impact of e-books: The world is getting much smaller and having just a territorial slice of something just doesn’t make sense anymore. Now, unless I’m taking something from an American, Australian, or South African publisher —which I do from time to time — I want World Rights. And when agents look at me as if I’ve come from another planet — How could I possibly be so unrealistic? —I tell them it’s that or I walk. I don’t usually get as far as the door before they call me back. And the reason is simple. We are a fairly small publisher, and one of the few advantages of being a small publisher is that by the time agents come to us with a book they’ve already been to Harper and Random House and Penguin et al. and been turned. Though we don’t talk about it, I know it and they know it. And if they want us to take a chance on a first-time writer that nobody else will take, and be prepared to do all the work, they’d better give us World Rights. But five years ago, when I signed up Tan Twan Eng’s first novel, The Gift of Rain, http://www.myrmidonbooks.com/new_titles_giftofrain.html I was a bit more naïve than I am now and settled for the standard offered UK and Commonwealth minus Canada plus EU in English only. With the current book, Garden of Evening Mists, despite my now hardened attitude, I knew I’d probably be working with the same US, Australian, and European publishers who published Eng’s first book, so I decided it wasn’t worth fighting over. So, after all that, back to the question you posed in your blog. Why are these Brit publishers not making their books available to American readers — Why the crazy different publication dates, lack of an e-book, etc.? I think if you dig a little you’ll find that in every case it’s because the Brit publisher isn’t making the decisions because the Brit publisher ISN’T the US publisher and can’t make the decisions. Either the Brit publisher sold their rights to a US publisher or, like us, never had them to sell in the first place, and they were sold to a US publisher by the author’s agent. And some of those publishers will not have been able to react yet to what’s happened — although I think Weinstein Books will now be doing their best to bring the title forward. If it isn’t obvious by now, be assured that I would love every American from Maine to San Diego to be buying Garden of Evening Mists from us right now: first, because it’s a great book; second, we need your money. But it isn’t ours to sell and never was; all control we have over this book extends only as far Greenland going West and New Zealand going East. There is nothing we can do about the bit in between. I’ve never much thought about it before, but I’d guess it probably works the other way with the Pulitzer Prize too: some small to medium-sized US indie publisher is only allowed US and Canadian rights, the author’s agent sells the UK and Commonwealth rights to a British publisher. British readers get interested in the book when they find it’s on the Pulitzer list. Then they wonder why they can’t get a copy when the book’s been available in the states four months — Typical bloody Yanks being parochial again — don’t they know the rest of the world exists? But the US publisher would probably love to sell its books in the UK, and Australia, and New Zealand, and Singapore, and India etc. —but it was never offered the chance to begin with.